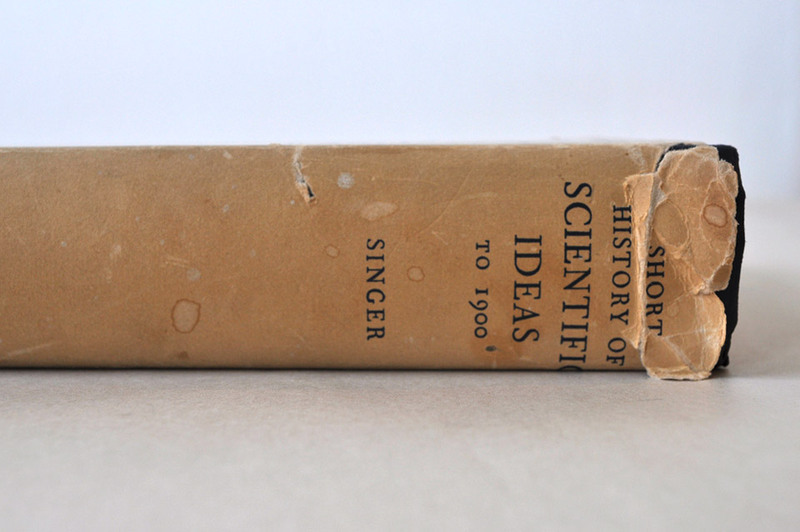 Short History of Scientific Ideas To 1900. Charles Singer. Oxford University Press. The title makes me wonder if someone has published the equivalent text for the 20th century? 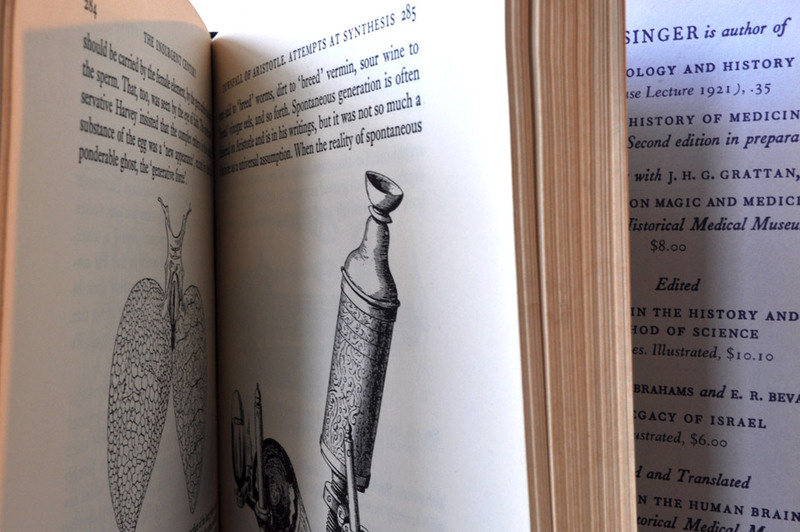 The illustrations are what make this book sing. No pun intended Mr. Singer. Yet, despite the poor condition of the dust jacket, I have not cracked it open to read. Alt Title: Untitled Book No.157, The MoonLight Sonata Played Backwards. Inspired by The Great Event – Leonard Cohen. It’s going to happen very soon. The great event which will end the horror. Which will end the sorrow. Next Tuesday, when the sun goes down, I will play the Moonlight Sonata backwards. This will reverse the effects of the world’s mad plunge into suffering, for the last 200 million years. What a lovely night that would be. What a sigh of relief, as the senile robins become bright red again, and the retired nightingales, pick up their dusty tails, and assert the majesty of creation! I have a history book from 1929 or something like that. The stuff that’s in there is so politically incorrect that you won’t believe it 🙂 Great read!